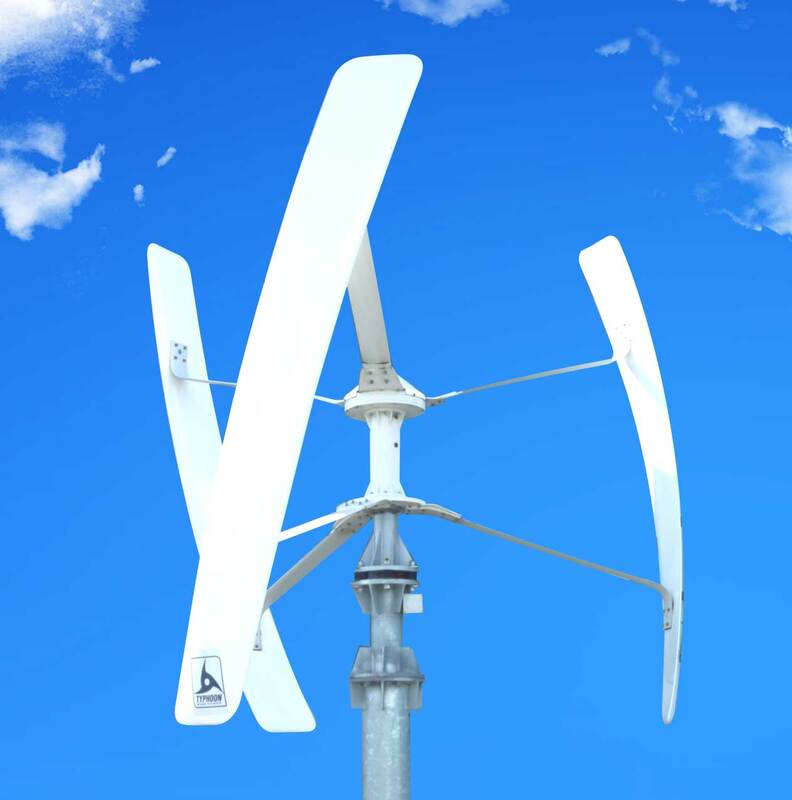 Typhoon Wind Power turbines operate on a vertical axis, allowing for a greater swept area and efficient power generation with lower noise all in an attractive package. This model has a rated power output of 500W and comes in a compact form. 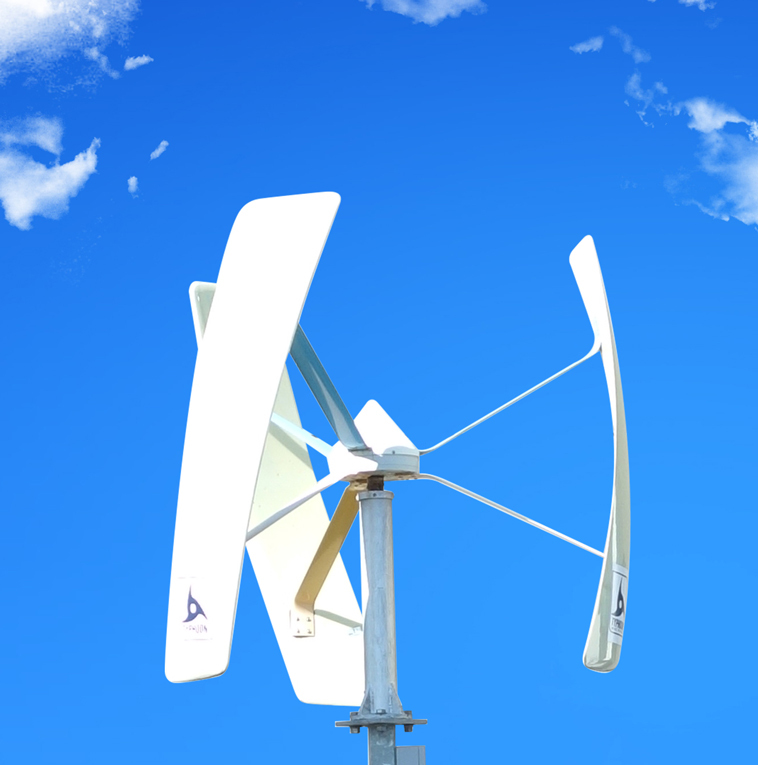 Package includes turbines, controller and inverter. Pole for mounting not included. This model is our largest, with a rated power output of 2000W. Package includes turbines, controller and inverter. Pole for mounting not included.